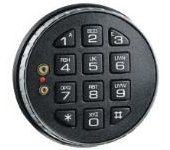 The ComboGard Pro Series electronic combination lock is a multi-user lock (1 Manager and 9 Users) that may be programmed either at the key pad or with a PC. 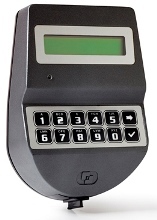 The AuditGard is a multi-user electronic combination lock that provides superior access control and accountability. The lock can be programmed with a Controller, a Manager and eight Users. 1Master, 1 Manager, 30 users479 Event Audit with time and date (softwarerequired). 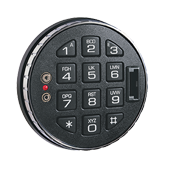 The LA GARD Basic Series electronic combination lock is the industry leader in security and reliability, at an economical price. The Basic offers users a simple, secure solution for access control and can be used on home safes, gun safes or any safe requiring the security of an electronic lock. Whether residential or retail the Basic is the perfect upgrade or replacement for the traditional mechanical lock. The TL11-Software is supplied free with the lock.